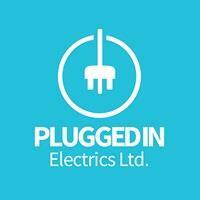 I’m Matthew Evans, a local electrician and owner of Plugged In Electrics Ltd. I was born and I’m based in Bromsgrove, Worcestershire. I have over 11 years experience as an electrician and served an apprenticeship at M.Albutts. I also worked as an electrician at Barrie Beard Ltd for over 8 years. I have professional experience at site and project management level on a range of domestic and commercial electrical projects. I have a solutions based attitude to all electrical work. The cost, regulations and aesthetics are paramount and I adapt quickly to customers requests and expectations. To produce the best results I believe consultation and communication with clients is essential. I take great pride in completing all works to the highest standards. All electrical work is undertaken - for more information and friendly advice please call 07773 323681 / 0121 293 3612. Alternatively you can visit my website to see a full list of services available. Birmingham, Bromsgrove, Halesowen, Redditch, Stourbridge, Worcestershire.